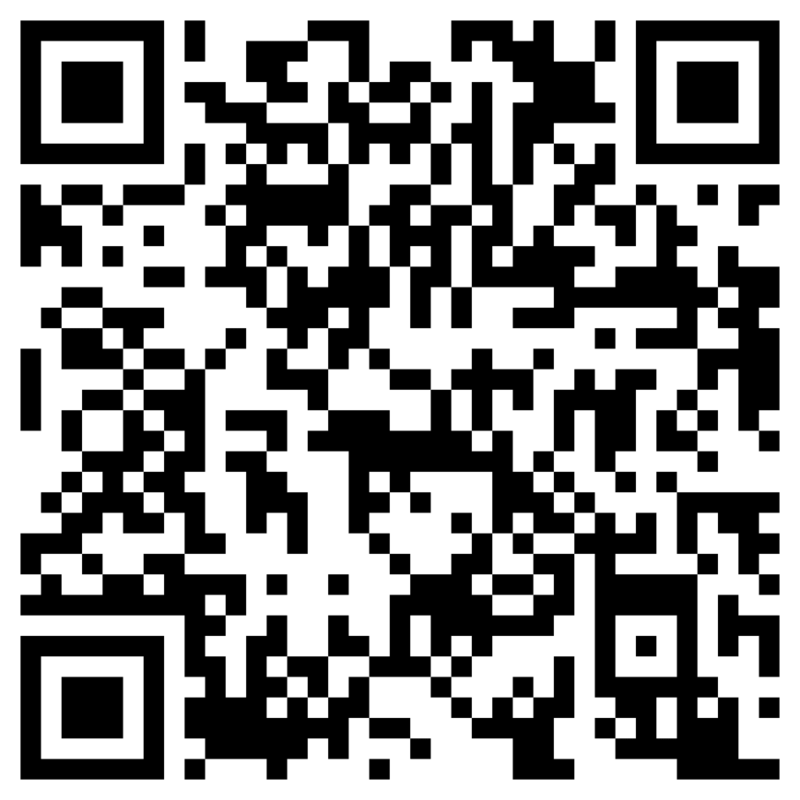 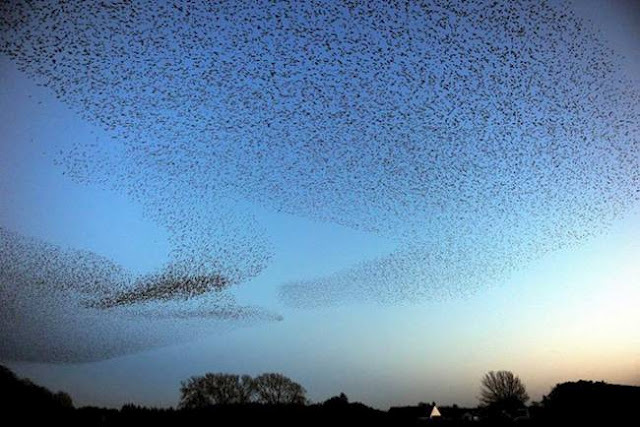 In the Scottish town of Gretna Green, from late autumn to early spring you can watch the amazing bird "air show". 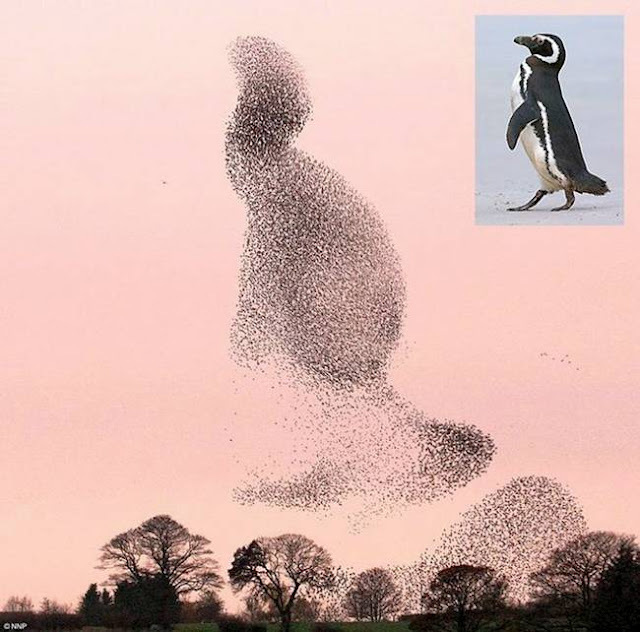 During the annual migration to wintering in Scotland, European starlings fly (sturnus vulgaris), driven by the frost from their homes in Russia and Scandinavia. 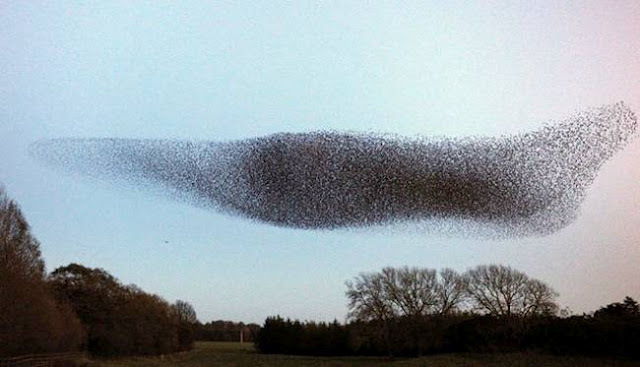 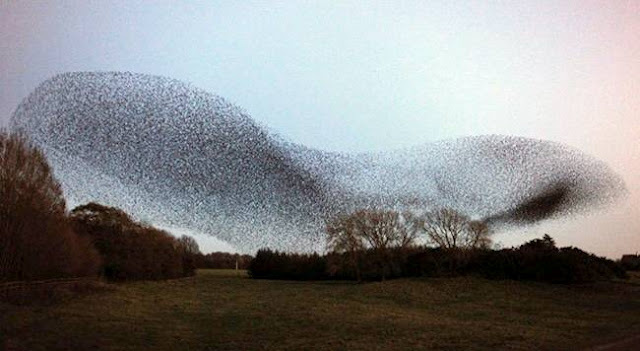 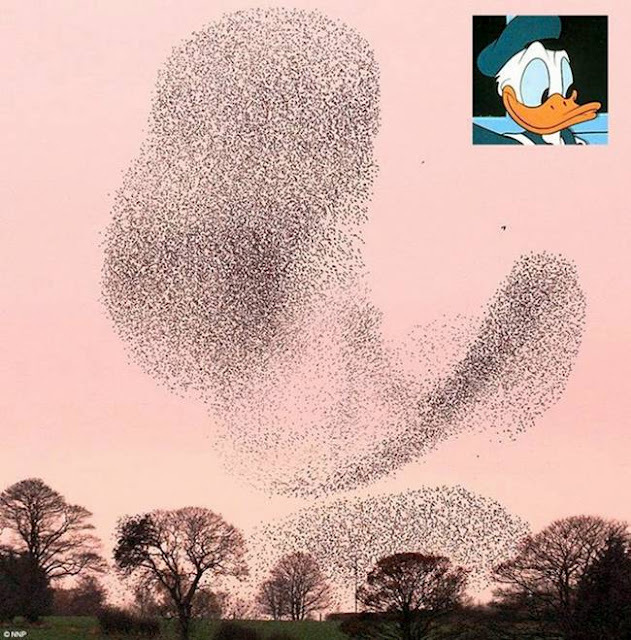 Soaring, flocks of these birds, like great black clouds in the sky, forming bizarre shapes. 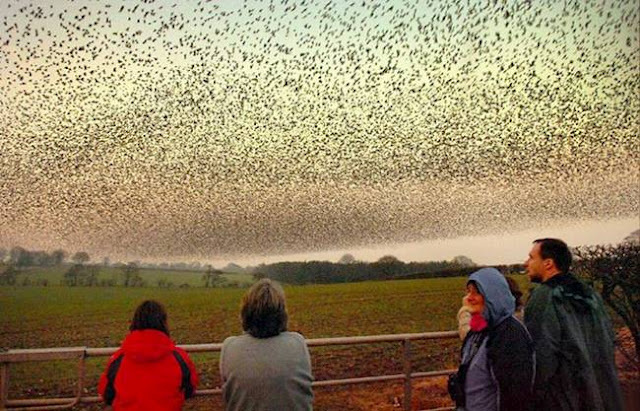 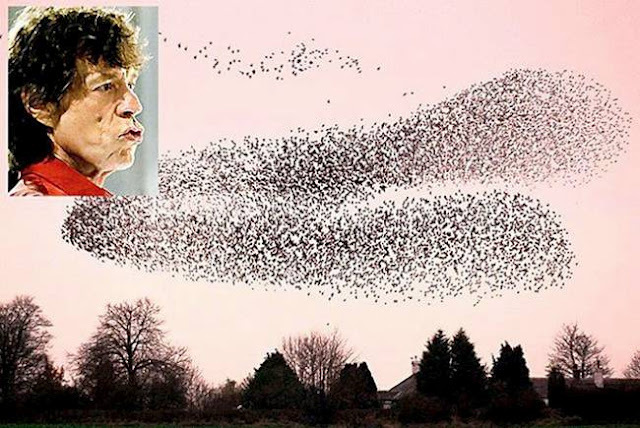 Collective bird pirouette so impressive that in Gretna Green, attracts tourists to watch the evening "air show". 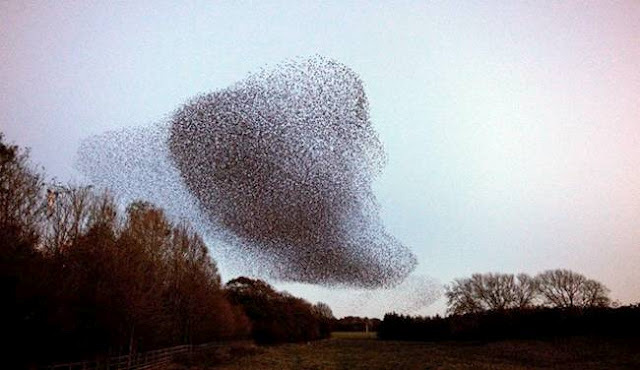 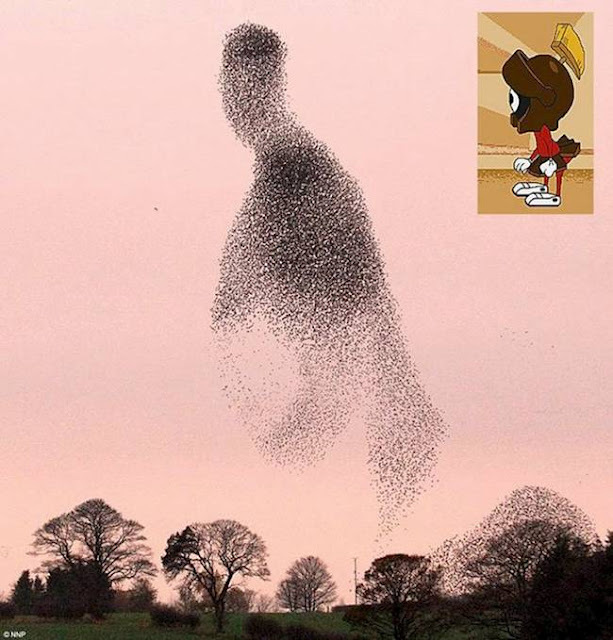 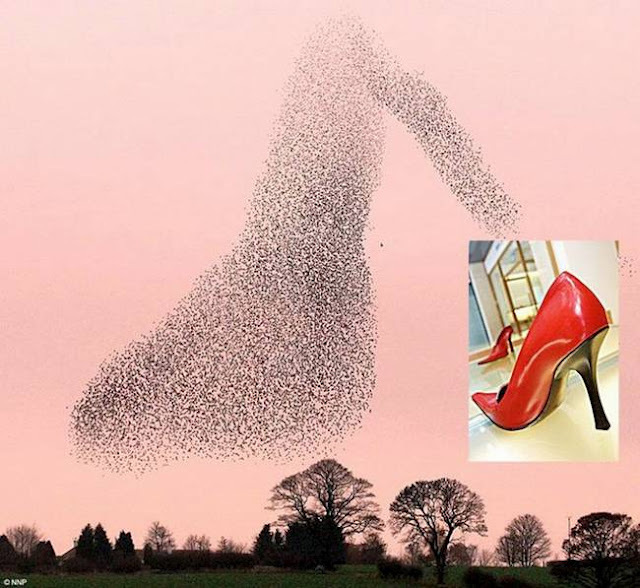 Synchronously moving in the air, the birds create the amazing and sometimes amusing shapes.